The following piece on Fortress is being published as part of our daily effort to track hedge fund events in the industry. To review other hedge fund related announcements please see our Hedge Fund Tracker Tool. Resource #1: (3.18.09) The Fortress Investment Group, the beleaguered private investment firm, said Monday that it lost $258 million in its fourth quarter, amid investment losses and withdrawals from investors. Its assets under management dropped 10 percent, to $29.5 billion. Resource #2: (2.5.09) The five hotshots who took Fortress Investment Group public were worth billions at first. Today they look like arrogant showboats, and their story helps explain why hedge funds are imploding by the thousands—and why there’s still a truckload of money to be made. 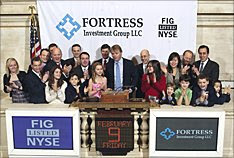 Resource #3: (12.8.08) If there’s one alternative investments firm that doesn’t need its name dragged through the mud right now, it’s Fortress Investment Group. But the New York firm, already facing huge redemption requests and a collapsing stock price, finds itself at the middle of the bizarre tale of the New York lawyer arrested in Toronto for allegedly impersonating another lawyer. Resource #4 (12.5.08) Tough luck, Fortress Investment Group basically said to investors seeking to pull their money from the company. Directors of Fortress Investment Group (FIG) voted to temporarily suspend pending redemptions after investors asked to pull out roughly $3.5 billion by year's end from its Drawbridge funds, nearly as much as the vehicles have in assets. Resource #5: (11.16.08) The hedge fund of billionaire investor George Soros increased its stake in Brazilian state-run oil company Petroleo Brasileiro ( Petrobras) to 21.1 million American Depositary Receipts as of Sept. 30 from 11.5 million at June 30. Soros Fund Management LLC made the move as the ADRs tumbled during the quarter to about $44 from about $71 each. Although the fund added nearly 10 million ADRs to its Petrobras stake, the value of the holding only rose to $930.7 million from $811.5 million. Since the end of the quarter, Petrobras ADRs have fallen further, closing on Friday at $21.45. Resource #6: Fortress Investment Group LLC, a New York-based manager of private-equity and hedge funds, won't pay a third-quarter dividend to shareholders, saying the money can be better spent by investing in financial companies. Fortress has risen 38 percent in the past two weeks in New York trading as investors anticipate private-equity and hedge- fund firms will profit from financial turmoil by snapping up companies and assets at distressed prices. Fortress rose 51 cents, or 3.9 percent, to $13.50 in New York Stock Exchange composite trading today. Resource #7: The Fortress MENA Fund LP will be managed by Philippe Peress and is set to begin trading by the end of September, according to marketing documents, which didn't say how much money the company is seeking to raise. Peress, based in Geneva, has been a managing director and partner of the company's Drawbridge Global Macro funds since 2003.